Are You Ready, Little Bunny? In 1492 . . .
Holiday Happenings is a full color reproducible teaching unit CD that focuses on some of the most common holidays: Valentine's Day, St. Patrick's Day, Easter, Mother's Day, Father's Day, Halloween, Thanksgiving, and Christmas. 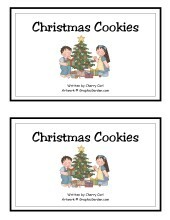 The activity set includes over 200 pages: 27 original poems and songs, and extensions to go with them: puzzles, practice pages, certificates, name tags, shape books and word wall cards. 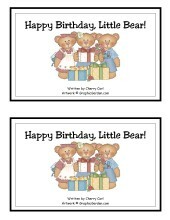 A readers theater script and emergent readers with pocket chart activities add to the total presentation. The illustrations are the work of Helena Normark, the talented artist of GraphicGarden.com and art4crafts.com fame. Proceeds from the sales of this CD are dedicated to establishing and maintaining a scholarship fund and to support the growth of literacy for children and teachers. in the International shipping costs will have to be calculated at the time of purchase. This is Christmas! is a full color reproducible teaching unit CD. 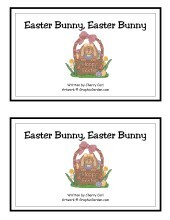 The set includes over 200 pages: original poems, songs, and extensions to go with them: puzzles, seven big books, certificates, word wall cards, stationery, shape books, recipes and readers with pocket chart activities. The illustrations are the work of Helena Normark, the talented artist of GraphicGarden.com and art4crafts.com fame. Proceeds from the sales of this CD are dedicated to establishing and maintaining a scholarship fund and to support the growth of literacy for children and teachers. International shipping costs will have to be calculated at the time of purchase.